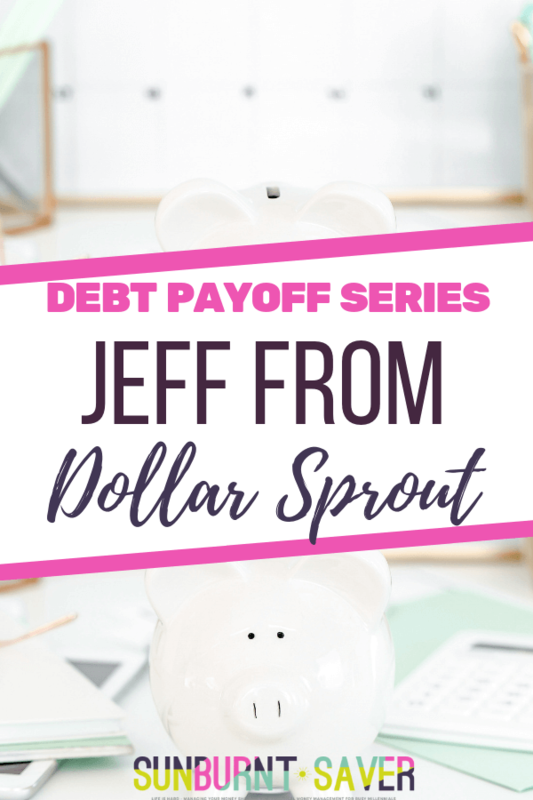 In this post, Jeff from the blog Dollar Sprout shares a different way he tackled his debt repayment: by making more money! 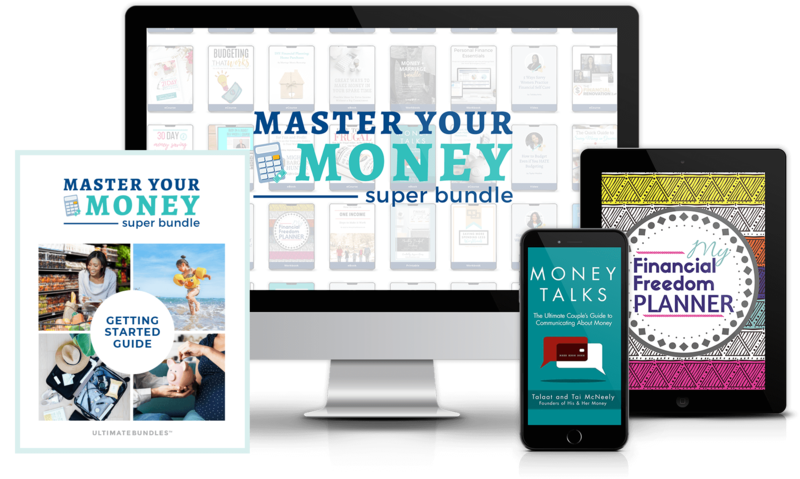 We all know that spending less + earning more is the only way to pay off debt, but Jeff really went hard on ‘making more’ – with great results! How did he do it? Read on! 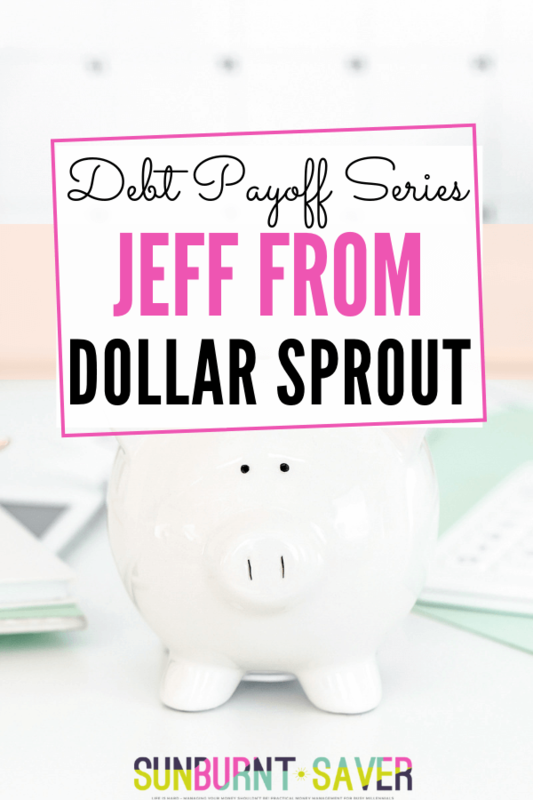 And when you’re done reading Jeff’s debt payoff story below, visit his site, Dollar Sprout, here. My name is Jeff Proctor, I’m 29 years old, and I run the personal finance blog DollarSprout.com with my friend from college, Ben Huber. Our mission at DollarSprout is to bring some of the best personal finance experts and writers together to help readers find new ways to make money, save money, and live healthier financial lives. 1) How much debt did/do you have and how did you get into it? I had $20,000 in car debt, almost $2,000 in credit card debt, and about $20,000 in student loans. I didn’t get into this debt all at once; it was a slow progression. I was very fortunate to have my parents help pay for the majority of my college education, but I was still on the hook for $20k, which was overwhelming. 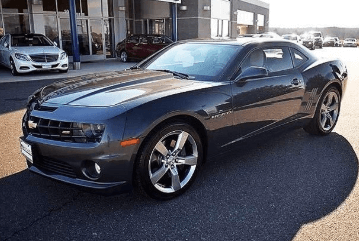 Just two years out of college, I bought a new-to-me car, a 2010 Camaro SS. For reference, the total cost of the vehicle was $24,000 (43,000 miles on it) and I was making a $40,000 salary at the time. My monthly car payment was $308 at 3.34% APR. Despite what everyone says about adding on a car payment, I actually never had buyer’s remorse after that purchase. It’s been a very reliable and fun car to drive, and the monthly payment fit comfortably within my monthly budget. The credit card debt, even though it was the smallest balance of the three debts, was by far the scariest debt I have ever incurred. This debt was racked up during my first year of my attempt to become a full time entrepreneur. I used my credit card as a last resort after most of my other savings had been burnt through. Shortly after I piled on this debt, I had to return to the working world because I was 100% broke. 2) At what point did you realize you needed to deal with your debt? I fell into the common trap of only paying the monthly minimums on my debts. So, while my debt payments never really hurt my overall budget, I finally realized that it was going to take me forever to become debt free if I maintained the status quo of only paying the minimums. Looking at my credit card statement after about a year of $15 minimum monthly payments is when I finally had my “aha” moment. My balance had barely declined at all despite paying my bill on time every month with no missed payments! That’s when I decided to get serious about getting out of debt. 3) Tell us about your debt pay off plan – did you create spreadsheets to pay off debt, work with family members to reduce expenses, get a second job, etc.? I didn’t put together any sort of elaborate plan to get out of debt. Instead, I focused relentlessly on increasing my income. 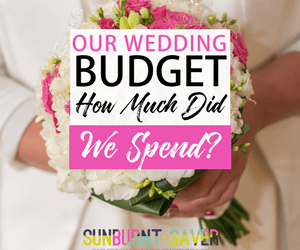 Instead of finding extra room in my budget, I felt like I could make a bigger dent in my debt by looking at it from the other angle: making more money. Since I was self-employed (and still am), that put all the pressure on me. I knew I needed to step up my game in my business to get this debt to go away. Of course, this was no easy task. Also, instead of steadily increasing my payments each month, I felt more confident in throwing large chunks of money at my debt whenever I had extra on hand. For example, my final credit card payment was for almost $1,400; over half of the original balance! For some reason this is the method I have always gravitated towards. My last student loan payment was made for $3,700, and I paid off the last of my car loan with a $7,016 lump sum payment. I’ve always had the discipline to not spend the extra money before I made any big payments, but having the extra funds on hand in case of an emergency gave me some piece of mind (even if it was technically earmarked for debt repayment). 4) What was the hardest thing about your debt pay off process? The hardest part for me was building up my income to a point where I could make substantial payments on my debt. 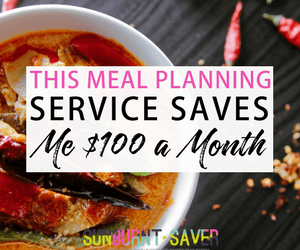 I really didn’t like the idea of cutting into my normal budget, even though that’s where most people tend to start when they get serious about their debt problems. I’m definitely not saying my way is the “best” or “right” way, though! The second hardest part, for me, was recognizing that I had a problem. After I racked up my credit card debt, I carried that ~ $2,000 for 14 months. Once I got real with myself and decided to make a change, the debt was gone in two months. I had it in me the entire time to become debt free, but until becoming debt free mattered to me, I didn’t do anything about it. 5) What was something you learned while you paid off/are paying off your debt? I learned just how in control we are of our own financial lives. I think a lot of people, myself included, tend to subconsciously cap our income potential and ability to pull off extraordinary things, which is really sad. Whether it’s starting an online business, driving for Lyft, or anything else, I want more people to be willing to think outside the box about how they can get out of debt and ultimately live a better life! Even though everyone’s debt situation is unique, I believe that a few simple shifts in thinking can do a world of good for a lot of people. 6) If you had to do it all over again, what’s one thing you would have done differently? Believe it or not, I don’t regret any of my debt! College was important to me, I love my car, and my credit card kept me fed during some not so good times. 7) What advice do you have for someone who’s in debt right now and is struggling to pay it off? First things first, I would try to shop around for refinancing deals to see if you can roll your debt over into a lower APR (not a lower monthly payment). 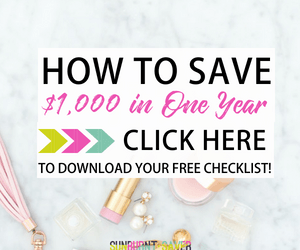 Once you know you are getting the best “deal” on your debt, then I think it’s time to take a look at your total income picture from a fresh perspective. Start looking at your debt as an emergency, because it is. And then do whatever you can to get the momentum going towards paying it all off! Thank you to Jeff from Dollar Sprout for sharing his debt payoff story with us!